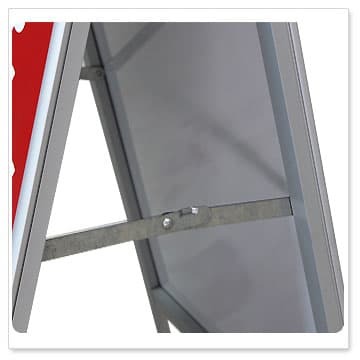 This great Aluminum Sandwich board style sign is very popular. A great form of easy to change signage. This is a fantastic way to grab the attention of people walking past, to attract customers to your business and increase sales. 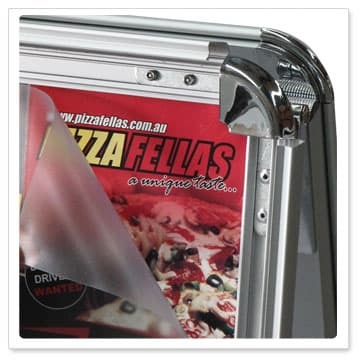 The Snap Frame A Board is a lightweight aluminium frame with snap lock edge and mechanism that allows you to change the printed message regularly. 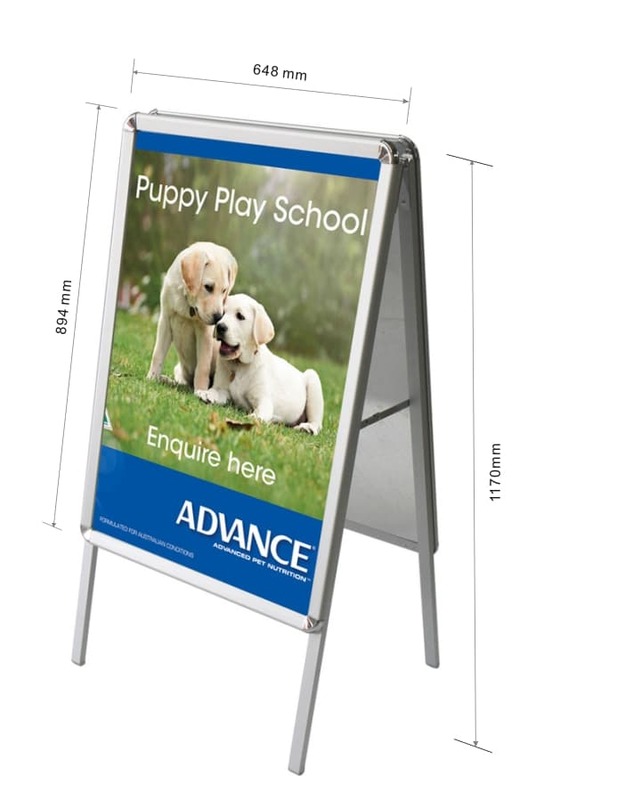 32mm round corner poster frame. 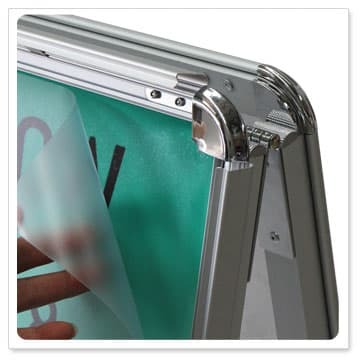 Anti glare pvc cover to protect your poster. 2 side hinges, offering increased strength and stability. Instantly change poster in seconds. Can be used indoors or outdoors where it is not exposed to heavy rain or winds.